You Will Say ''WOW'' When You See All You Get With This House. Spacious 3/2 With Golf Garage Has it All. 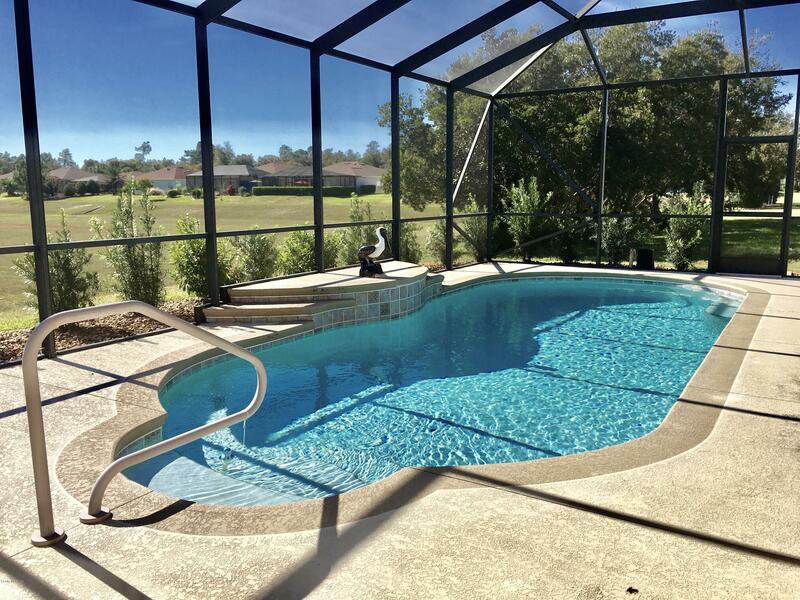 Tile Flooring, Comfort Height Toilets, Screened Entry, Stainless Black Appliances With Double Convection Gas Stove, Pull Down Stairs in Attic, Guest Bedroom TV's and More. Owner Has Upgraded Everything! New Kitchen Appliances & Washer/Dryer 2017, New Water Softener, New Air 2017, New Pool Pump & Chlorinator 2018...10,000 Gallon Solar Heated Salt Pool With Light Overlooking Green Space & No Rear Neighbors. This is A Must See! WIFI & CABLE INCLUDED IN HOA. SummerGlen Lot 468.